The other night I finished off a pair of socks - except for grafting the toes shut, naturally - half an hour short of bedtime and within five minutes I had dug out my bag of Stoddart romney/mohair yarn to cast on the next pair. 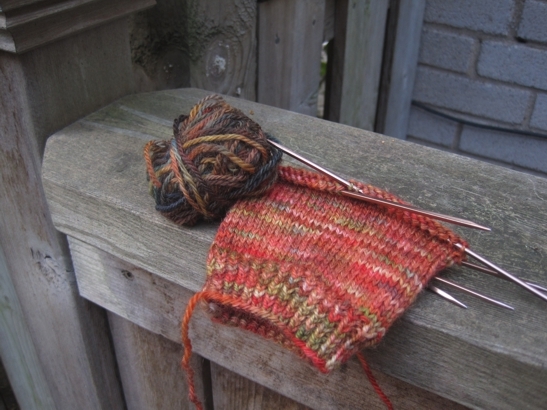 Now, I was kind of excited about getting out a fresh colour because, as I mentioned in passing a few days ago, I recently found a bag of yarn that had gone missing, and which had in it some yarn I particularly wanted on the needles. I keep seeing pictures of it in my Stash page at Ravelry, and in my photo folder on my computer, and then remembering how I pounced on it when I saw it on Silvia's booth table because I loved it so much. I just couldn't find it in the real stash. The trouble is, yarn can look very different in a skein than it does in a cake, and even once I found that bag I couldn't recognize the actual yarn. It reminded me of a pumpkin when I saw it first - a lot of orange, with hits of green. But when I went back to it yesterday - my day off, which I'd set aside to graft sock toes - it just didn't look right to me. I opened up the once-missing bag and wondered about that second colour and also the other colours in there. Then I spotted remnants from my first-love yarn hiding behind some other cakes. Oh yeah. That's what I had in mind. Nothing too emphatic, just a little weight to ground out that orange. 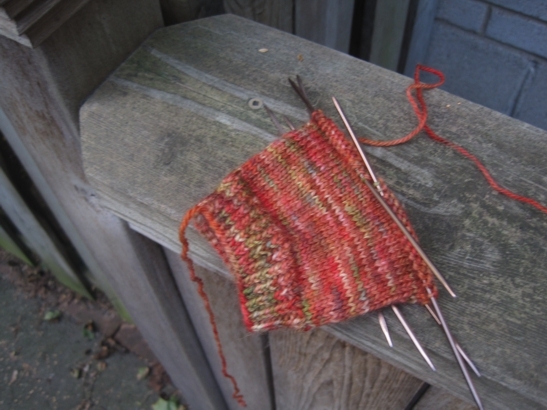 Sometimes you just have to fuss a little with a project, even if it does mean putting toe-grafting off for yet another day. 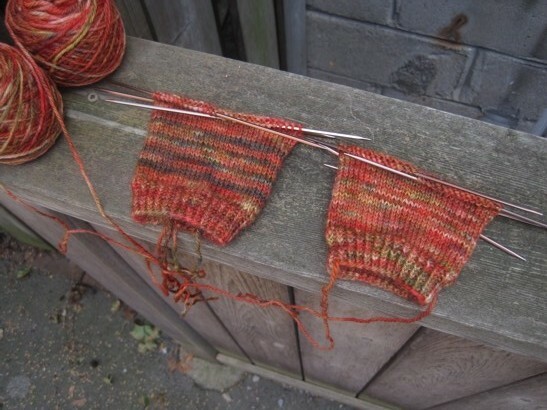 Now my biggest problem is deciding whether the yarn reminds me more of carrots or pumpkins. Or maybe a meadow of pinky-orange blooms? With luck I'll figure that out over the weekend. Maybe I'll even have a new set of toes I'm not grafting shut by the time I see you again Monday. Have a great couple of days, and be good to yourself! 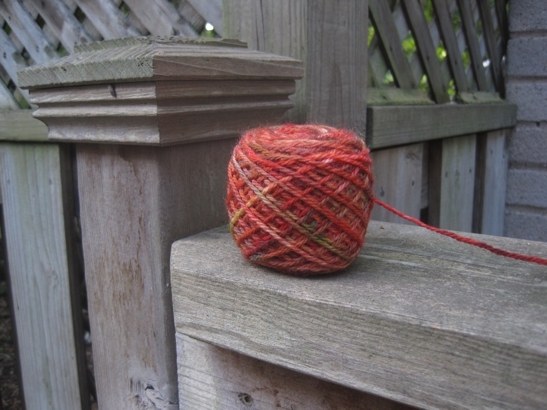 The A to the Q: is there enough yarn? 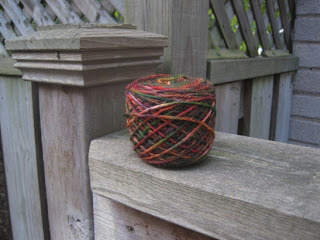 Cliffhanger: is there ever enough sock yarn?